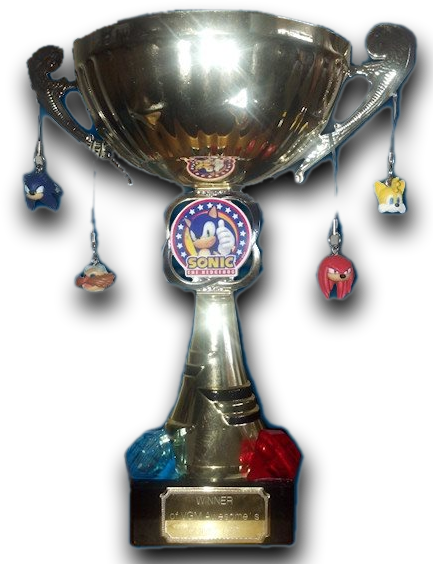 Last year, Jay Egge Mann (of The Sonic Show & Stadium) and Jono.D competed in the ‘Sonic Off’ to see who was the ultimate sonic fan. The reward, a sonic trophy. Jay shamed The Sonic Show and ‘Stadium crew by losing to Jon in a massive way. Jon won the trophy and Jay has been bitter about it ever since… until today. In a plan to steal back the trophy Jay so desperately wants, he comes across an even more evil plan to complete his revenge. Is this our FOF? Or is it not named Freak Out Friday until later? Eh, Freak-Out material posted on a Friday. Saves me some material for next week!